Ford Motor Company has kicked off a 14-city electric vehicle tour in an effort to prepare the Pacific Northwest for electric vehicles. According to a company press release, the national “Charging Into the Future Tour” kicked off Monday at Portland State University. The Ford Focus electric plug-in and Ford Fusion Hybrid were on display and were available for test drives. Ford and Portland General Electric formally announced the two companies are joining forces to share information on charging needs and to educate consumers about electric vehicles. Ford selected Oregon because it leads other states in preparing for plug-in vehicles. 1,000 public charging stations will be available by June 30, 2011 according to PGE. The Michigan-based automaker will be introducing five new EVs over the next two years. 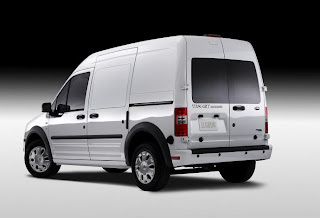 Ford’s commercial van, the Transit Connect Electric, will debut sometime this year and the Ford Focus battery electric passenger car will be available in 2011. Both vehicles use no gas. 2012, the company will introduce two next generation lithium-ion battery powered hybrids and one plug-in hybrid. Approximately 159,000 Ford employees work in 70 plants around the world. In August, Portland-based PGE unveiled North America’s very first public-use quick-charge station at its World Trade Center Headquarters in downtown Portland. In business since 1889, PGE serves more than 820,000 customers in 52 cities.